For Investment Bankers, Money Brokers, Loan Lenders, Finance And Banking Industry, Credit Card Sellers, Foreign Currency Exchange Companies, Accountants, Investing Firms, Etc. Managing cash and having a financial planning is a sign of a wise and intelligent person, people often fall into the trap of misleading advertisements and suffer, in order to give them a fair deal, a genuine company is what everyone hunts for. 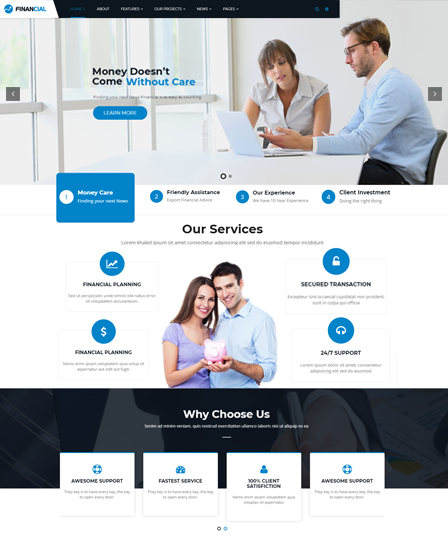 For any such agency or organization that needs an online platform can use an amazing theme known as the HoldCash WordPress theme which is suitable for Investment bankers, accountants, investing firms, foreign currency exchange companies, money brokers, loan lenders, finance and banking industry, credit card sellers and many others can be benefitted. 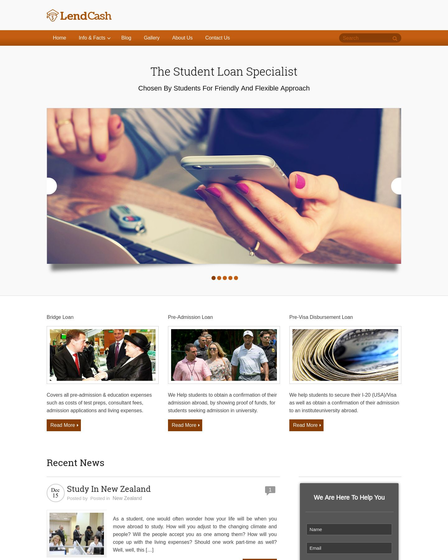 The template can be used to display all the advance cash lending techniques and the mediums that you use to avail cash to the customers, the prominent features can also be shared with the help of this theme. An ideal business website must have a lead capture form that helps to promote and encourage venturing. 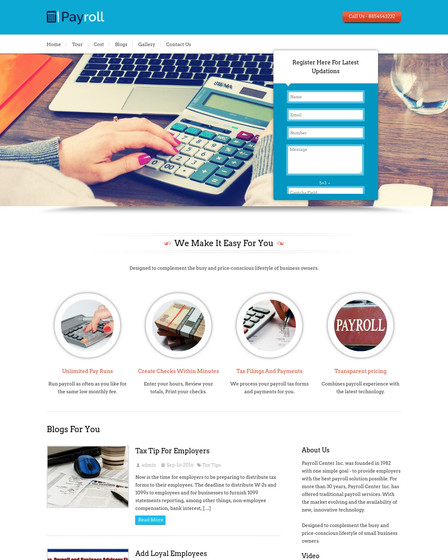 HoldCash WordPress theme is coupled with integrated Ink Lead Capture Pro that helps to track your site visitors leads. In order to generate a lead, your site guest needs to fill this simple form with their name or email id. This lead will be stored in the admin mailbox, you can also track all the leads of your customers from the backend panel of the theme. Once you gather the lead you can easily promote your monthly loan installments, upcoming loan plan, etc. 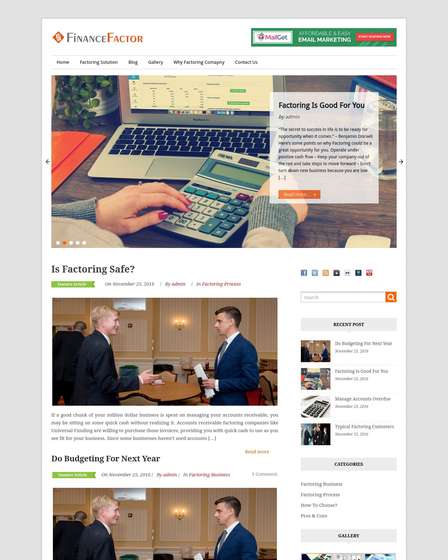 An advertising space is framed at the mid of the homepage where you can advertise your other business services, plans or you can also promote other business services on your site and charge extra money for it. 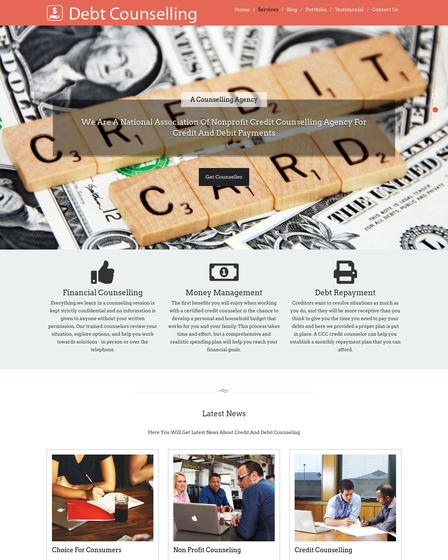 The theme has a three column feature area where you can portray all your cash advances, loans and financial services along with pictorial representation and you can also give a brief summary of each service in a descriptive area.